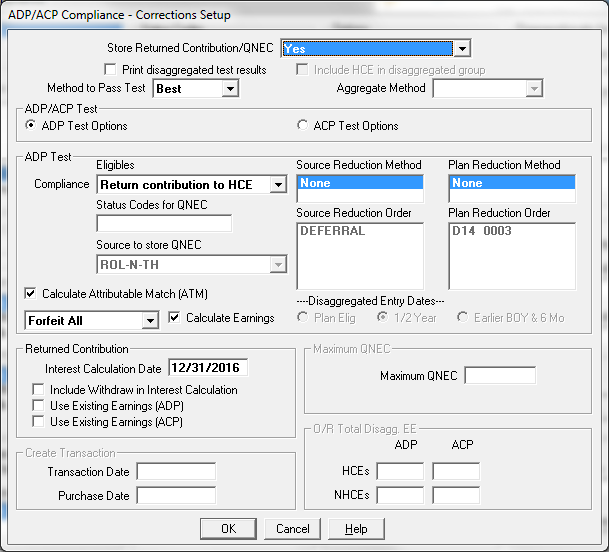 See why over 50% of all 401(k) participant accounts are run on ASC software! Sophisticated and easy to use compliance testing system. ASC is unquestionably the pension industry’s leader in compliance testing – with approximately half of the 401(k) accounts in the Unites States tested on the ASC system. It is in use by the majority of the largest investment firms, mutual fund families and insurance companies in the nation. The Compliance Testing System, developed in conjunction with our customers’ needs, handles the most complicated plan scenarios and provides a complete illustration and solution. No longer do administrators have to “go outside the system” to perform these difficult tests. This frees plan professionals and consultants to design the most complex and flexible plans for their clients knowing that they can cost effectively administer them year after year. That is why most of the top mutual fund families, investment firms and insurance companies have selected ASC. 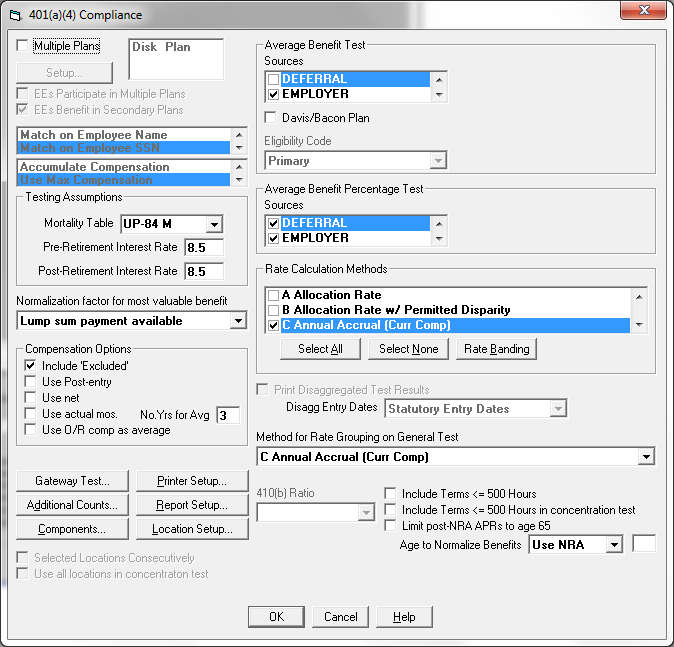 The Compliance Testing System handles both small and large plans, combining speed with sophisticated results. It comes included with ASC’s DC/401(k) package and is also available as an independent system for use with any other recordkeeping system. 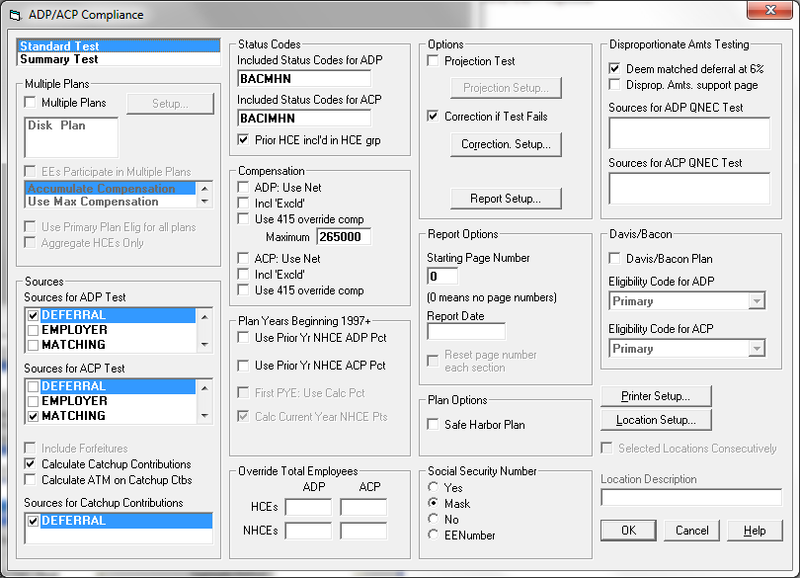 The 401(a)(4) Testing Module is for Cross-Testing and/or designing new comparability plans. Functionality includes: extensive rate calculation methods, including annual accrual, accrued-to-date and permitted disparity, as well as multiple 401(a)(4) group definitions, and an option to disaggregate those participants who have not met the statutory eligibility requirements. The Budget Solving Routines also include the calculations necessary for determining estimated self-employment taxes and adjusted income for Keogh/Sole Proprietor and Partnership Plans. And the Proposal System includes an easy export for side-by-side plan design comparisons. To learn more about our 401(a)(4) Budget Module, click here.